The ideal glass to enjoy a Kinrara Highland Dry and Tonic with friends. Fill one of these 16oz Coupes with ice, a good shot of Highland Dry Gin and top with twice as much tonic. Garnish with a sliver of orange peel for the ultimate G&T. 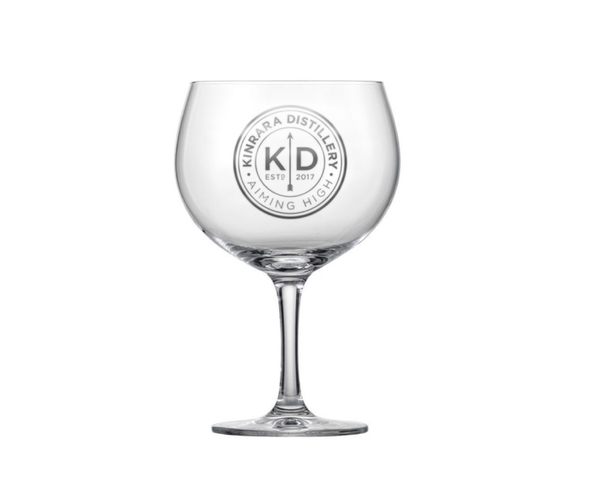 Two Kinrara Coupe Glasses delivered to your door. Please note these glasses are not dishwasher safe.